How do I know what parts need work before beginning a restoration? The short answer is that you don’t know what you’ll need until you start a repair. The long answer is that it depends on what you’ll use your car for and how you want it to look when it’s restored. In order to restore it to working condition, it will need to be taken apart to see which parts work, which can be repaired, and which need to be replaced. Can I get a quote or estimate for my restoration? 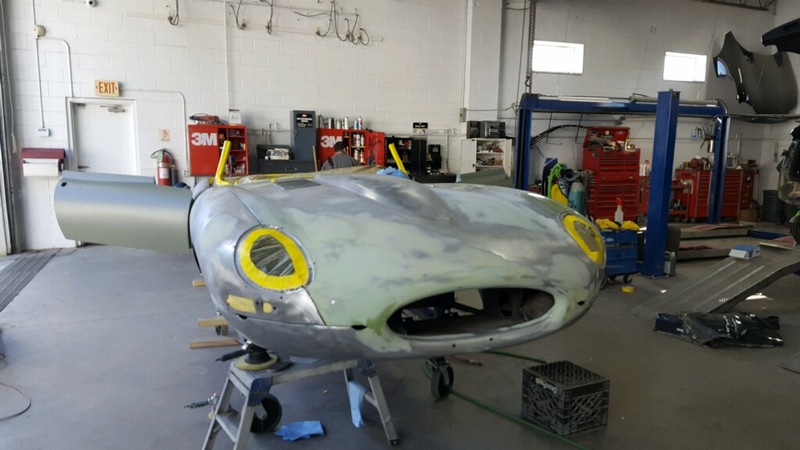 Depending on where you take your classic car for restoration, you may be able to get a quote or an estimate. Keep in mind that you’re much less likely to get a quote unless you’re limiting your restoration to specific parts that you’ve outlined prior to the restoration begins. An estimate can change when work begins and it depends on the condition you’d like your car to be in and the cost for labor and parts. How long will a restoration take? Do I have to do it all at once? No, you don’t have to do your restoration all at once. In fact, taking a long time (years) to complete a restoration is not uncommon. Waiting for parts, finding new repairs, and making payments are all common in classic car restorations and they all add time to the process. Remember that the process is often half the fun – it’s the reason many people begin a restoration in the first place. What’s the difference between collision repair shop and car restoration shop? While both collision repair and car restoration involve “fixing” cars and replacing parts that cannot be fixed, there is one major difference. Collision repair usually works on modern cars that have been damaged in a collision. Car restoration usually works on older cars that have been damaged due to wear and tear over time, or neglect. It is possible for one shop to provide both services. However, it’s important to check that the shop you choose (for either service) has experience in what you need.